Reporter Brian Joseph gives us his take on the meeting this morning by Costa Mesa officials and the governor on the sale of the Orange County Fairgrounds. You can read his complete story HERE. Several quotes jumped out at me. 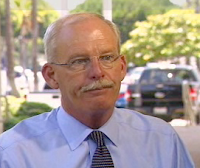 For example, he quotes Katrina Foley as saying, "He said they would debate it internally." Allan Mansoor said, "I'm not optimistic that it'll be called off". City Manager Allan Roeder is quoted as saying, "I would say without question it is the most important matter, not only at present, but that has come before our community in many, many, many years." Besides the fact that our emissaries got luke warm treatment from the governor, I thought it was particularly interesting that he and his staff decided at the last minute to permit only two council members plus City Manager Allan Roeder to attend the meeting. 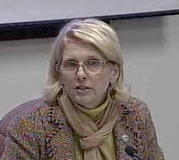 That, apparently, left Mayor Pro Tem Wendy Leece out in the cold. And, I suppose, that meant it was not actually an official "council meeting", since there was not a majority present. 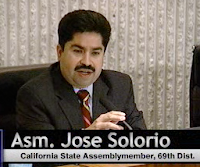 This means that we must now turn up the steam on the efforts to get Jose Solorio's ballot measure passed. I suspect Vern Nelson over on the Orange Juice Blog will ramp up his efforts to contact members of the California legislature to push for the passage of AB1590. Time's a wastin', folks... This could all be over in less than two weeks when the bids submitted to the state are opened. The self proclaimed People's Governor has ignored our pleas, this is so very disappointing. All our eggs are in the AB1590 basket now. Geoff- The Governor needs to sign AB 1590 if it gets passed by both houses of the legislature. If he wanted to stop the sale he would do just that. I am afraid our best chance is to have the city and county buy the property. The state is not required to take the highest bid. They a required to take the best offer for the good of the state. That would be the city/county bid. Yes, I know that. IF it passes both houses he could sign it to stop the sale. However, it doesn't seem likely that he will do that, does it? It's interesting that he seems willing to leave, as part of his legacy, the demolition of an Orange County institution, cost hundreds of jobs and millions in sales tax dollars. I don't like the "open-endedness" of this sale, either. We don't have a clue how far the City/County joint powers authority will go to buy the land. They could end up mortgaging your grandchildren's future with this deal!